Game developer Phil Hassey launched its latest game the emoj.io, which is a game that has emojis. The game is similar to the good old packman, but the only difference is that the game will be played in a shared world. The game will also have other players and the gamer will not just have to run away from ghosts and collect gems but will also have to escape other players and give a tough competition. The more you collect gems and escape opponents, the more you score. Moreover, the more you grab gems, the more powerful you become to beat meeker competitors. You also need to have a watch on your opponents who might turn up anytime from anywhere. The catch is, even if the other player is weaker, they could have enough power to grind you down to dust. The focus is to be quick at the pack-man maze and avoid the sandwich situation. 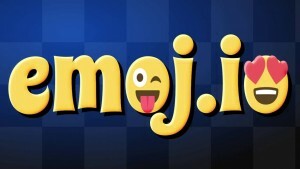 The gamers can unlock more emojis through video ads and can also purchase a pack of emojis. If you are an ardent gamer, you can play for an hour to get an instant power boost. Gamers also have the option to watch video ads to get a power boost. The emoji.io will soon be coming to the iOS as well as the Android platforms on October 13, 2016.